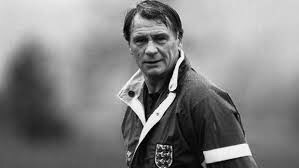 To mark the anniversary of the death of Sir Bobby Robson in 2009, let’s look back at six of the best games of his reign as England manager. It was a spell in charge that would not always go smoothly, as he found himself in the line of fire from the tabloids at times, but would end with Robson leaving as a hero after Italia ’90 and being much-loved in the later years of his life. A true legend of English football who will never be forgotten. It may only have been a friendly, but 30 years later this remains one of the most talked about games of the Bobby Robson era. The result in itself was momentous as England had only beaten Brazil once before, but it was particularly joyful for an under-pressure Robson. A week earlier England had been booed off after a home defeat by the USSR, following on from their failure to qualify for the European Championship and a poor showing in the last Home International Championship. While Brazil looked a pale shadow of the side that had won so many admirers at the 1982 World Cup, it was still a win to treasure for England in the Maracana and will forever be remembered for the incredible John Barnes goal shortly before the break (missed by England fans back home as ITV’s coverage only began at half-time). A Mark Hateley header wrapped things up in the second half. The pressure on Robson had eased and good results would now follow. Fast forward five months and England had renewed confidence, having beaten Finland 5-0 in their opening World Cup qualifier in October 1984. They were expected to get a result against Turkey in Istanbul, with the Turks not regarded as one of the stronger European nations of the time. However, few were anticipating England to be so quite dominant and subdue the fervent home crowd with such an emphatic display. England in the 1980s were inspired by the two Robsons, with Bobby being manager and namesake Bryan his captain and on-field general. The skipper netted a hat-trick, with Tony Woodcock (2), John Barnes (2) and Viv Anderson also finding their way onto the scoresheet. In typical football manager fashion, the older Robson was not totally satisfied. “I never thought I would ever win an international match 8-0 and think we’d let them off the hook because really we could have gone into double figures,” he told ITV’s Brian Moore afterwards, reflecting on missed chances. But there was a new-found confidence from England and they qualified with an unbeaten record for the finals. Other notable thrashings dished out by England under Robson included a 9-0 win over Luxembourg (December 1982) and another 8-0 win over Turkey (October 1987), both coming in European Championship qualifiers at Wembley. Almost exactly two years after the Brazil game, the pressure was again on Bobby Robson as England went into their final World Cup group game in Mexico in June 1986. They were in serious danger of an immediate exit after losing to Portugal and drawing with Morocco. A defeat would ensure elimination and a draw could also see them on the next plane home, with Robson’s job at serious risk if they failed to get the required result. Without the injured Bryan Robson and suspended Ray Wilkins, the manager reshuffled his midfield pack and brought Peter Beardsley in for Mark Hateley in attack. The changes paid off as Gary Lineker famously scored a first half hat-trick and went on to win the World Cup Golden Boot. The relief was visible for the manager, as England saw out the match and repeated the scoreline in the second round against Paraguay. Another 3-0 over Poland in a World Cup qualifier in June 1989 was one of the Wembley highlights of the Robson years. There was a time in the mid to late 1980s that, if they clicked, England looked as dangerous going forward as any side in the world. It didn’t always work out but if Gary Lineker, Peter Beardsley, John Barnes, Chris Waddle, Bryan Robson et al were on top of their game then few defences would find it easy to live with them. This was one of those games when the forward line was on-form, making it a happy 54th birthday for Bobby Robson. Lineker had moved to Barcelona after the 1986 World Cup and his stock was to rise in Spain as he tore the home side apart in Madrid. England recovered from being 1-0 down to lead 4-1, as Lineker scored all of them past Barcelona team-mate Andoni Zubizarreta. Robson’s side could even afford to concede a second goal before the end and still win comfortably against a fellow World Cup quarter-finalist. Another friendly win worth remembering came away to Soviet Union in March 1986, the 1-0 success inflicting a rare home defeat on the USSR. Another example of England looking unstoppable, with the goals flying in against decent opposition. Played in foul weather in Belgrade, England could have been forgiven for keeping it tight and settling for the draw they needed to qualify for the European Championship finals. But Bobby Robson’s side were brimming with confidence after beating Turkey 8-0 the previous month and they destroyed Yugoslavia in the opening 25 minutes. An early Peter Beardsley goal settled the nerves, with further efforts from John Barnes, Bryan Robson and Tony Adams ensuring the game was settled long before half-time. Yugoslavia could only manage one goal after the break, as England deservedly clinched their place in the Euro finals. Sadly, it’s fair to say what happened there will not rate as a highlight of the Bobby Robson England reign and he once more became a target for the tabloids. It ended in heartache, but this was the night that cemented Bobby Robson’s reputation as an England hero. He’d become the first England manager to guide England into the World Cup last four on foreign soil, Robson memorably dancing a jig of delight as David Platt scored a last-gasp winner against Belgium in the second round and then breathing a huge sigh of relief as his men edged out Cameroon in an enthralling quarter-final. But now came the major test, up against the World Cup favourites in Turin and needing to perform better than in the previous rounds if they were to stand a chance of winning. England gave what was widely considered to be their best performance at a major finals for years, genuinely having a go at their highly-rated hosts and winning over many critics. You all know what ultimately happened, as it took a penalty-shoot-out to separate the sides on a night of high emotion and tears. England returned home with their pride intact and the departing Robson could bask in a level of public affection he had not always enjoyed in the previous eight years. A knighthood would eventually come his way. With every passing World Cup disappointment since then, England’s achievements in Italy grow more impressive and may not be matched for some time yet.